Preferred format: This teaching activity is designed for small groups of students to discuss the marketing mix implications of the consumer products classification scheme. 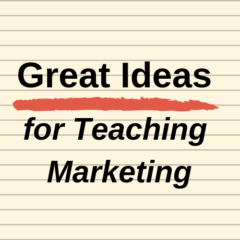 Student audience: This exercise is more suitable for students of introductory marketing. After significant success in the local market, the company is looking to market to the more affluent markets in Asia markets. But the question is how they should do this? Which option would you recommend from the list below?